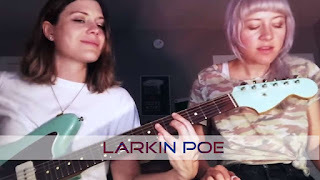 Welcome to Larkin Poe's "Tip o' The Hat" video series. To build a fire of creativity, you need fuel. As artists, we aspire to keep learning the songs that move and inspire us. Art begets art. While we’re at it, we want you to share in the experience — these are some of the songs that have shaped us. Don't you wanna go down the Larkin Poe Social-Media rabbit hole?